You have certainly seen a big bikes full of happy guys riding in the big cities and enjoying beer. Book a sporty bike and experience this amazing time with your friends. You will be listening a good music, riding your bikes and of course drinking a super cool beer. 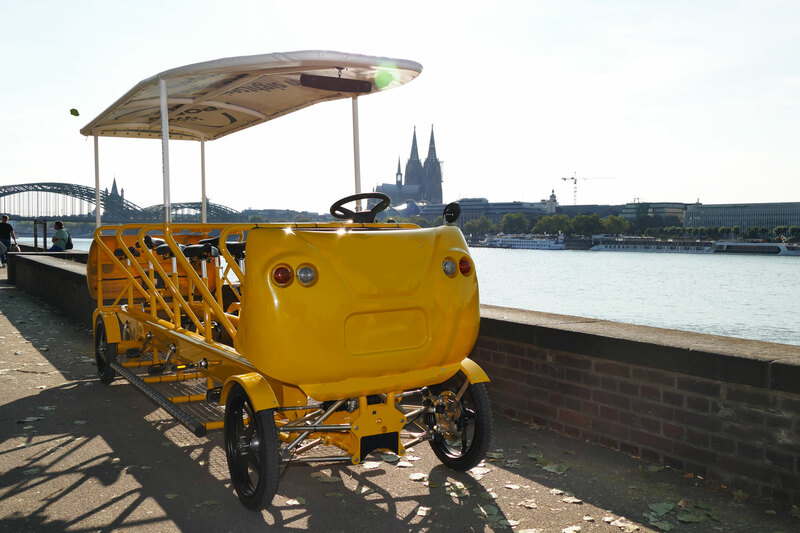 This tour takes 2 hours and you will be exploring the centre of Cologne. There will be a driver with you so you don´t have to worry who will take the right direction. 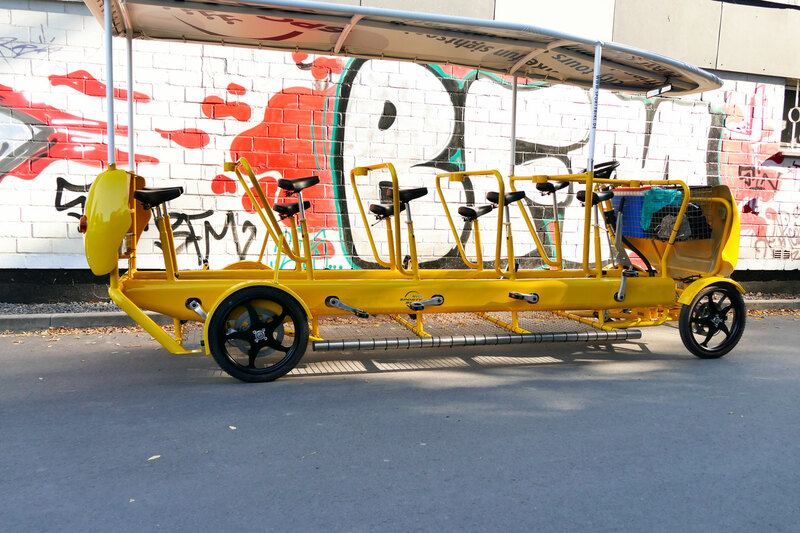 You will have 15 litres of beer per Bike. The maximum capacity of people is 9. 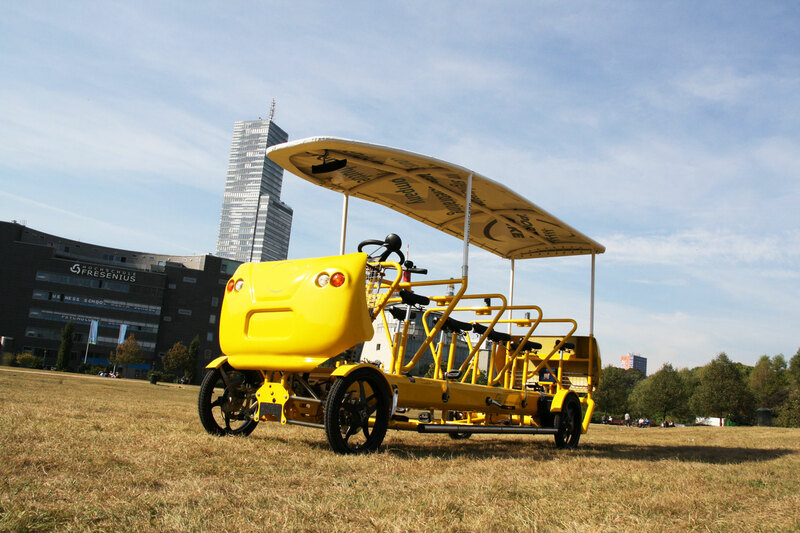 Sporty bike is really the best daily activity for you. 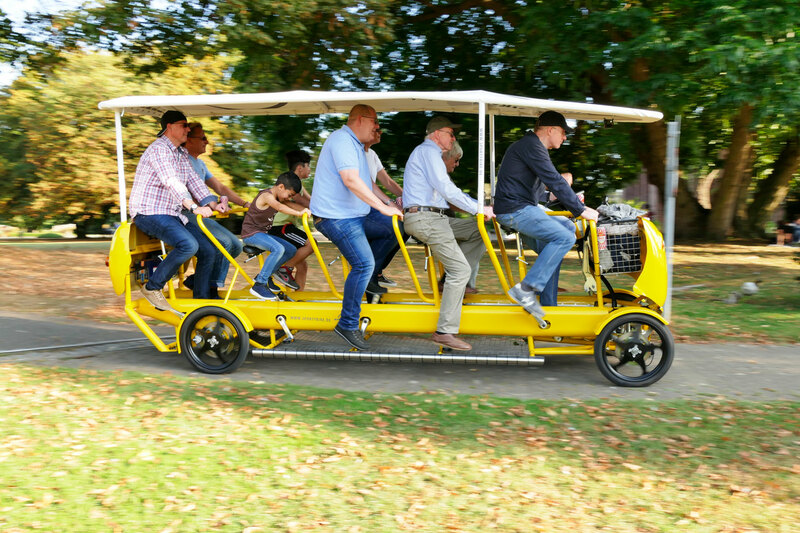 Take to the streets in a pedal powered pub and show Cologne that you know how to enjoy the life of entertainment. Even though it isn´t evening yet, you can have your private party already. It´s a wonderful warm up and after the party ride you will be in a perfect mood to continue partying. If you want, we can give you some advices where to go afterwards.